When Will Graphics Card Prices Drop? Should You Buy a 2nd-Hand GPU? What About Pre-Built Gaming PCs? April Update: We've added an April 2018 update on GPU pricing here (with good news). Unless you've been living under a rock, current graphics card prices are sky-high at the moment. And that's if you can even find your favorite GPU in stock, let alone be quick enough to purchase before a cryptocurrency/Bitcoin miner snaps it up. This guide will answer the most common questions about the current graphics card price inflation dilemma, and what to do if you want to upgrade your gaming system at this time. I've Been Living Under a Rock. What's Going On? It started last year, but this year it's gotten worse. 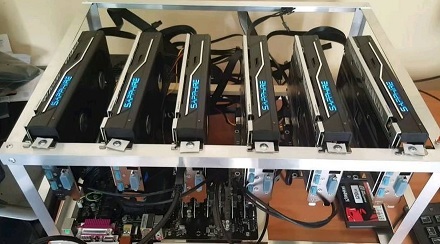 Due to the current popularity of mining Bitcoins and other digital currencies (which require GPU power and the more cards the better), the demand for graphics cards have risen quite a lot. Therefore, GPU prices have gone up accordingly. Economics 101; the law of supply and demand. The price of a graphics card as of March 2018 can be up to 2x the normal market cost. So Is Building a PC a Bad Idea Right Now? At the time of writing, if you care about maximising bang for your buck and not overspending AND, yes - building a computer is generally not recommended as you're going to pay through the nose for a graphics card so you're better off finding an alternate solution. If you don't care about paying a lot more than you normally would for a new build, then go right ahead and build a system as you still get the benefits of having a fully-personalized system without the downsides of many pre-built PCs (such as generally lower-quality PSUs/other parts, bloatware programs, etc). But yeah, building a gaming PC right now is not (in most cases) going to allow you to save money which has always been one of the biggest benefits of building. There is, however, one way you could get a graphics card at its normal price: waiting for a card to come in stock directly on NVidia's site and being quick to buy when it comes in stock. But besides this option which relies on luck (or you checking your email obsessively every second of every day until there's a card in stock), overall, it's pretty much neck and neck between building and buying a pre-built PC in terms of bang for your buck. Should I Buy a Pre-Built Gaming PC Then? This is the first time we've ever said this, but drastic times call for drastic measure: since building and buying a desktop is around the same right now in terms of value for money, this is definitely an option to consider if you don't mind getting a pre-built and you can find a decent one that has decent-quality parts throughout. If you shop smart and know what to look for, you could very well save money doing this (as opposed to building) at this point. What About Buying a Second-Hand Card? Yes, this is definitely an option to consider if you don't mind buying second-hand and can find a good deal. Buying a used current-gen card at a decent price may be possible, but you'll probably have to resort to getting a previous generation GPU to find a decent deal. Using an older GPU model isn't a bad thing as they can still pack quite a punch, but try to buy as recent of a card as you can so that they'll have support for modern games. For budget desktop builds, you can get similar performance to the GTX 1050 with a GTX 950, GTX 760, or R9 270 instead. If you were planning on a 1050 Ti for more power, look for a GTX 770, GTX 760, or R9 270X. For mid to high-end builds that would normally include the mighty GTX 1060, look at alternative cards like the GTX 780 (or "Ti" version), R9 290 (or "X" version), GTX 980 (or "Ti"), or the R9 390 (or "X"). As for top-tier gamers and enthusiasts that were hoping for a killer 1070, 1080 or better...you're pretty much out of luck 'cause these powerhouses cannot be matched by older cards. The million dollar question. Truth is, no matter what anyone says on Reddit, YouTube, or some blog, nobody knows exactly when prices will drop and/or return all the way back to their standard MSRP. But normalize they will...it's only a matter of time. Many experts predict this could likely occur by the end of the year, but like I said before, who really knows. Could be earlier, could be even later. At the time of writing this there's an overall downward trend of Bitcoin and if this continues then perhaps GPU prices will drop sooner rather than later.